When it comes to superlative distinctions, not all states are created equal. For every one that claims to objectively be the “sunniest” or “healthiest” in the country, there are the states that probably aren’t as keen to broadcast that they are the one with the highest crime rate, or home to the worst drivers (hi, Massachusetts). 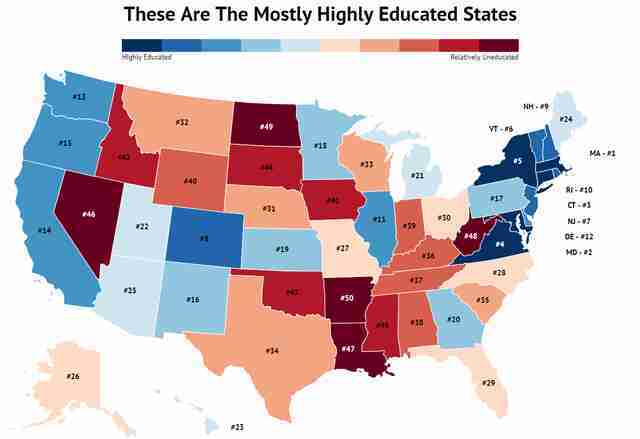 However, the states at the top of a new ranking have plenty of reason to feel good about themselves, because their residents are among the most highly educated in the country. 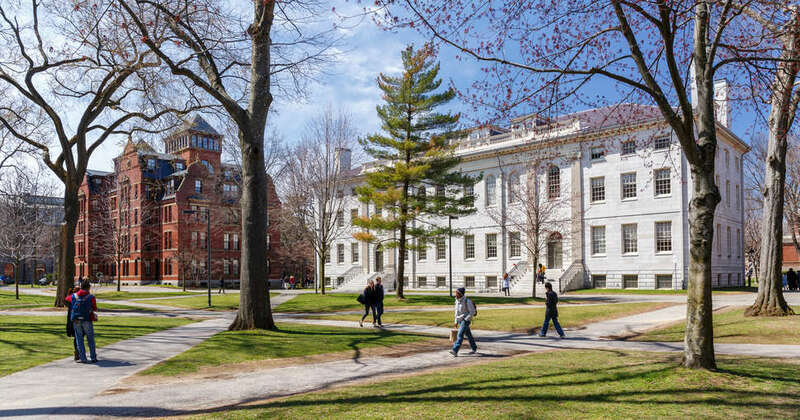 The new study from the career-guidance site Zippia did a deep dive on the education level of residents in every state, identifying those with the highest percentage of people with advanced degrees and then ranking them accordingly. Specifically, they looked at US Census data from 2012-2016, and identified the states with the highest percentage of adults that have at least a master’s degree. Topping this year’s list is Massachusetts, followed closely by Maryland, then Connecticut. On the other end of things, Arkansas landed at the bottom. Here’s how the top 25 shook out, from least to most residents with a master’s degree or higher. As you can see, New England seems to have a lock on the most highly educated region in the country, with all six states that comprise it landing in the top 25 (including five within the top 10). Meanwhile, the Deep South, Plains, and upper Mountain states are among those with the least number of residents with advanced higher degrees. Of course, book smarts and a college degree or two aren’t necessarily an indicator of a person’s intelligence. However if you’re hoping to live somewhere where there’s a good chance at least a few of your neighbors have a enough to diplomas to fill a wall, you know where to go.